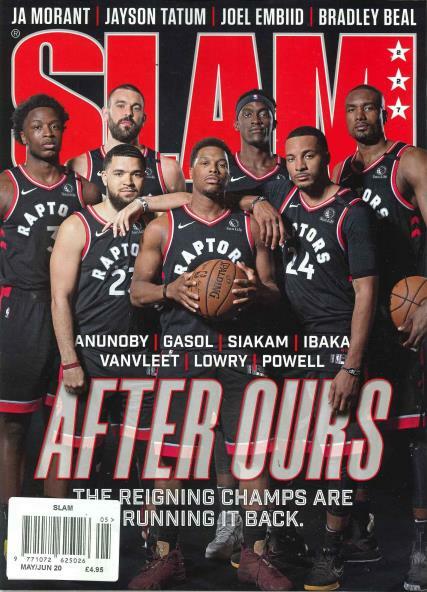 The Slam magazine is one of the most read teenage and high school sports magazine carrying specialized information about the game of basketball. The magazine is one of the most widely read basketball magazine not only in the United States but also the world over. Any basketball fanatic’s must have is this periodical-Slam.It started out in the year 1994 as a most a basic magazine on American Basketball, gradually adding a hip-hop undertone to its content. It does much to bring upcoming prodigious basketball talents in the forefront. It is issued once every month. It started out in the year 1994 as a most a basic magazine on American Basketball, gradually adding a hip-hop undertone to its content. It does much to bring upcoming prodigious basketball talents in the forefront. It is issued once every month. It is a very youthful and fun magazine. But it has some serious and important information about the world of basketball. Slam magazine has interesting categories in which it divides up its contents. It gives recent NBA ranking of players. Grab a copy of Slam magazine Today!